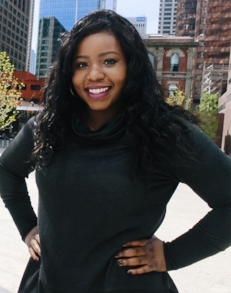 Amanda is a born and bred Nigerian Calgarian; a youth coordinator by day, dancer by evening and a spoken word artist by night. Amanda finds inspiration in her culture, love for art and experiences in life. When life isn't in the way, Amanda grasps the opportunity to get out and explore the world a couple of times a year. She believes exploring is the best way to keep up as a creative; steady living and steady learning. I love teaching because it gives me an opportunity to connect with different types of people through more than conversation. I like to eat... A LOT! Dancing is natural for me. It just feels right and genuinely brings me joy. The very first time I walked into Pulse Stuios. It had a different vibe from other studios. Oh, and the studio speakers, they are out of this world!